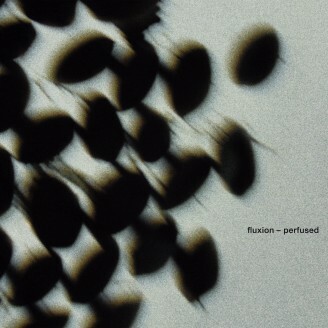 Echocord is very proud to release the full length album “Perfused” by Fluxion. After the 2 out of 3 already 12” released on Echocord, here comes the album. This is the 5th album by Fluxion. More than a decade of music from the first Chain Reaction 1998 release by the artist.. Seems now obvious that after the initial first Maurizio, Basic Channel, Chain Reaction releases, who by being true to the idea of music with ever moving parts, had set the ground for what is being called today "Dub Techno". A branch that now has deen followed by countless artists, but a few just really "got it". This is music that crolls under your skin, with no firecrackers and stunds. Fluxion has been true to this principles, and unspoken rules as other artists from that era did, but also artists that followed. It's not about analyzing, it's about "it works" or "it doesn't work". In that direction Fluxion has teamed up with Echocord. One of the very few labels that are always treating this gender of music with care. Both in the production aesthetic, but also for their need to look into the future, and what it will bring to the music. In this new album "Perfused", as the title implies, the sounds are liquid.Bending, turning,blending,streaming,forming and at the end grooving in a unique way.Moving into the future with steady dub beats. Proposing to the listener not only to listen to new ways of producing music and sound, but rather to open up his way of listening. The opening "Horizons",creates a warm slow dub feeling and as it moves through time and space, it creates music phrases that are never repeating. unveiling a breath of fresh sounds. "Waves" is a pulsating dub atmosheric dance track.Dub questions & answers. "Tantalizer", a dryed out track, mechanical, organical. "Inflection", a cyclic dub minimal track. "Wabbler", a live track recorded in one take, a journey back to the influencies of dub. "Elation", a track full of energy.Slowly building up, in the fluxion way, allways revealing some new stream of sound that comes to surface.A strong dance track, that moves the listeners both body and mind. "Fluctuations", slow building up, atmospheric minimal track, "Inductance" atmospheric sound patterns slowly combined, creating an emotional futuristic track. "Perfuse"is a pulsating slow dub track.The sound patterns emerge steadily, to form one stream. One organic movement, that every part complements the other. Echocord is very proud to release the full length album “Perfused” by Fluxion. After the 2 out or 3 already 12” released on Echocord, here comes the album. This is the 5th album by Fluxion. More than a decade of music from the first Chain Reaction 1998 release by the artist.. Seems now obvious that after the initial first Maurizio,Basic Channel,Chain Reaction releases, who by being true to the idea of music with ever moving parts, had set the ground for what is being called today "Dub Techno".A branch that now has deen followed by countless artists, but a few just really "got it".This is music that crolls under your skin, with no firecrackers and stunds. Fluxion has been true to this principles, and unspoken rules as other artists from that era did, but also artists that followed. It's not about analyzing, it's about "it works" or "it doesn't work". In that direction Fluxion has teamed up with Echocord. One of the very few labels that are always treating this gender of music with care. Both in the production aesthetic, but also for their need to look into the future, and what it will bring to the music. In this new album "Perfused", as the title implies, the sounds are liquid.Bending, turning,blending,streaming,forming and at the end grooving in a unique way.Moving into the future with steady dub beats. Proposing to the listener not only to listen to new ways of producing music and sound, but rather to open up his way of listening. The opening "Horizons",creates a warm slow dub feeling and as it moves through time and space, it creates music phrases that are never repeating. unveiling a breath of fresh sounds. "Waves" is a pulsating dub atmosheric dance track.Dub questions & answers. "Tantalizer", a dryed out track, mechanical, organical. "Inflection", a cyclic dub minimal track. "Wabbler", a live track recorded in one take, a journey back to the influencies of dub. "Elation", a track full of energy.Slowly building up, in the fluxion way, allways revealing some new stream of sound that comes to surface.A strong dance track, that moves the listeners both body and mind. "Fluctuations", slow building up, atmospheric minimal track, "Inductance" atmospheric sound patterns slowly combined, creating an emotional futuristic track. "Perfuse"is a pulsating slow dub track.The sound patterns emerge steadily, to form one stream. One organic movement, that every part complements the other.